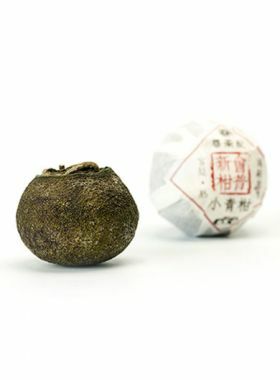 This Ancient Tree Raw Pu-erh Dragon Ball is convenient to carry and ideal for raw tea lovers to enjoy on a daily basis. This ancient tree raw pu-erh dragon ball was produced from tea leaves picked early Spring 2016, from trees older than 300 years, in the high mountains. 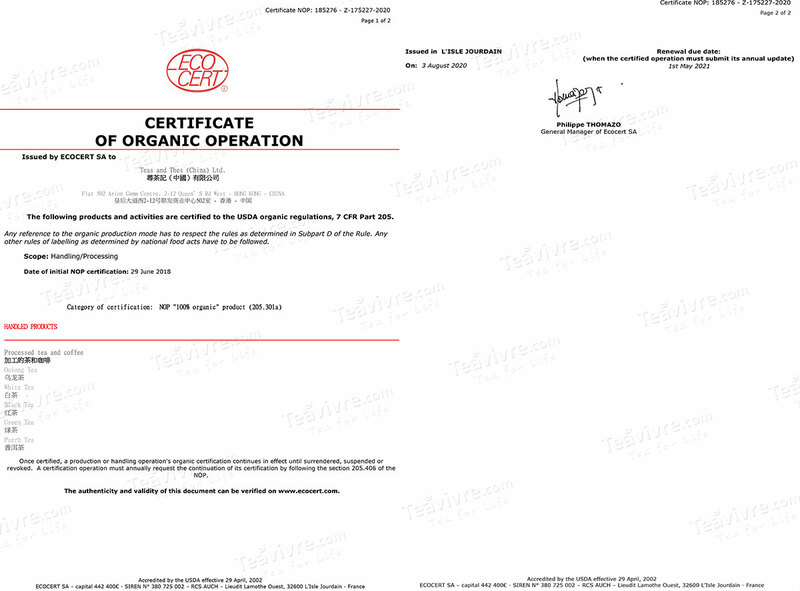 This tea follows the “one bud, one or two leaves” picking standard. As the Chinese saying goes, “the early spring tea is as precious as gold”. Early spring tea is also called “Ming qian” tea, and it has a rich fragrance and abundant inclusions, meaning that this tea retains a lingering aroma through brewing. Its dry leaves are covered with dense pekoe; enthusiasts for ancient tree tea can smell the characteristic aroma of the trees’ age on these leaves. 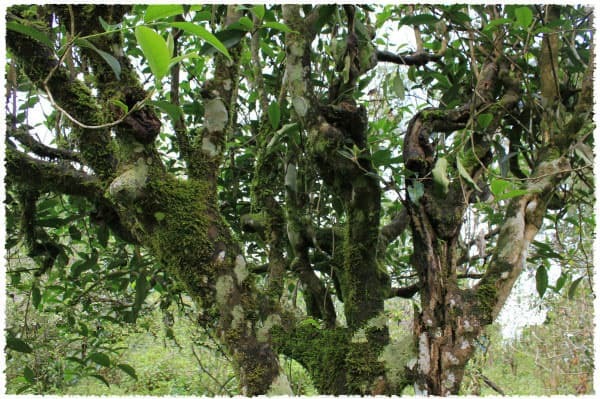 Compared with normal large-leaf tea tree species, the tea from these trees has a more complex taste, with a slight bitterness up-front that immediately disappears and turns to a stronger, sweeter aftertaste; the age of the trees also lends a slight floral aroma to the tea. The recommended brewing method of this raw dragon ball pu-erh is to use teacups, brewing for six minutes, so that its taste is the best and sweetness is prominent. The fresh leaves for this tea come from the Jiu Tai Po tea garden in Pu’er City, at a peak elevation of just above 2000 meters. 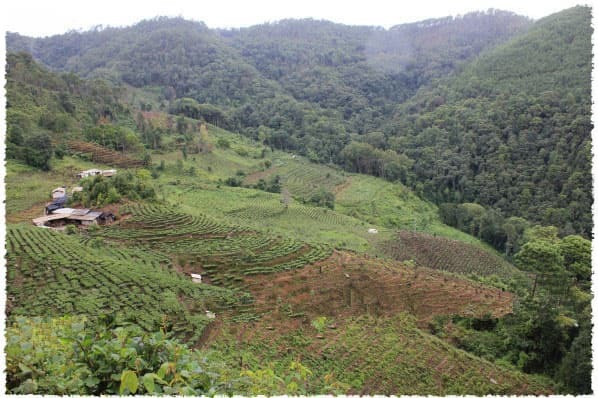 This tea garden is surrounded by a variety of other ecological tea plantations, such as the Taidi Cha (plantation tea) growing area, and old and ancient tea tree reservations. The latter two of these are located at a relatively higher elevation in Jiu Tai Po tea garden, thick with forests. This garden is located at an altitude where no cars can pass nearby, so it must be accessed by climbing the mountain on foot; this means that the tea is growing in a natural environment here, without human intervention. Poultry manure is considered one of the best plant fertilizers up here, and it is used abundantly. In recent years, Jiu Tai Po tea garden has begun to grow Taidi Cha, which come from the Jinggu Dabai Cha varietal. The leaves from Daiba Cha are more expensive than those from older tea trees, so you don’t need to worry about buying a half-fake tea mixed with Taidi Cha and old tree leaves. With more than thirty years of experience in making tea, Mr. Yang, as well as the other farmers of Huidi village, make their living by selling tea. Mr. Yang was the first to produce dragon ball black teas with fresh flowers, and when we asked him about this, he told us, “There is already a very special blend of pu-erh with rose and chrysanthemums, which is where I got the idea for doing the same thing with black teas.” After this, he started his experiments to do so, and eventually found that Dian Hong black tea is perfect for rolling into the larger dragon ball tea. Following this success, he began to challenge himself in making other types of dragon ball teas, many of which include other kinds of flowers. Some of these include rose, chamomile, jasmine, and forget-me-not dragon ball black tea. 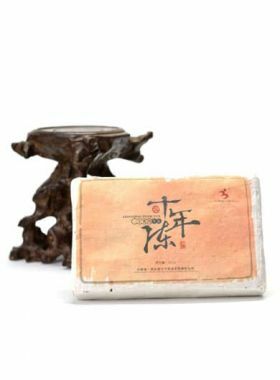 This ancient tree dragon ball pu-erh tea is the result of one of his experiments using pure tea leaves, another of which is Moonlight Beauty dragon ball white tea. 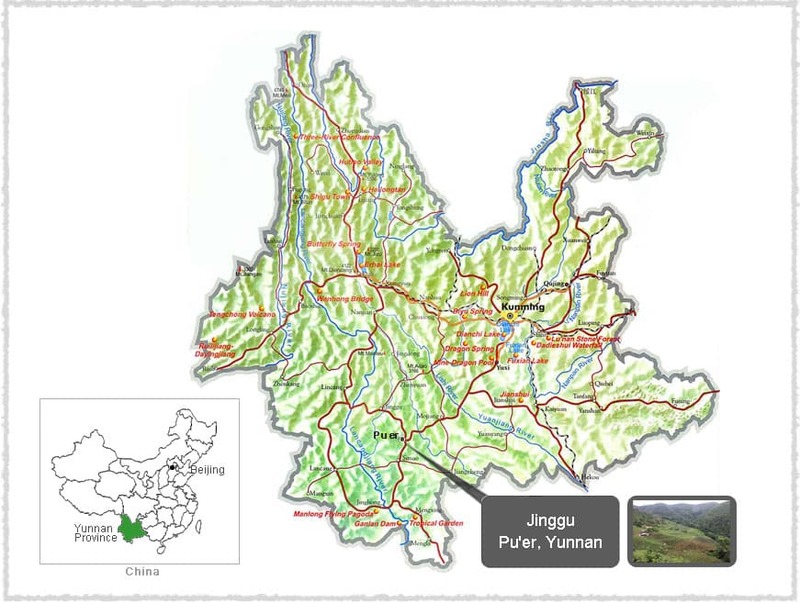 Pu’er City, formerly called Simao, is a prefecture-level city in the southern Yunnan province. The elevation here ranges between about 300 and 3400 meters above sea level, and the area has a vast range of ancient tea trees. This city was identified as the hometown of pu-erh tea, and is well-known as the ‘birthplace of tea’ in general, and the heartland for tea trees in the world. It has a rich variety of resources, which can generally be divided into three types: original wild ancient tea trees, and wild tree populations; transitive-type ancient trees; and cultivation-type ancient trees. These trees grow in high altitudes among ancient forests, and all of the region’s natural ecosystems have been well-protected to ensure quality. According to the 2007 satellite survey results, these old tree resources cover more than 100mu in Pu’er City. TeaVivre’s Ancient Dragon Ball Pu-erh Tea is picked from the Jinggu original ecological ancient tree type, belonging to the Yunnan large-leaf tree species. These particular trees are between 300 and 400 years old and can reach up to 5 meters tall, with trunks up to 35cm in diameter. 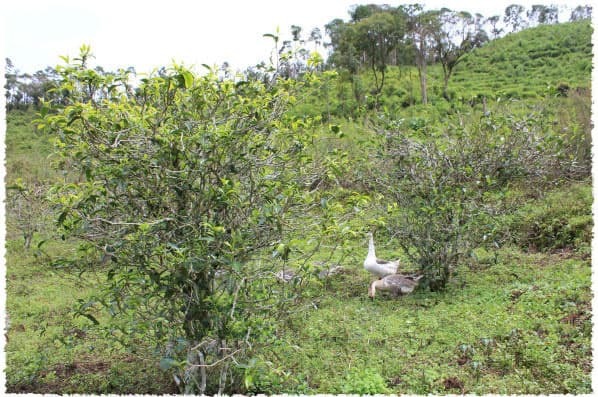 Because the surface plants along the ground have never been removed, the ecological environment of this tea is excellent, with the trees showing no signs of aging. The trees are so large that farmers need to build a wooden frame and climb up to reach the leaves for picking.